Beaches Green Market in Neptune Beach at Jarboe Park 2-5p! It’s going to be a brisk one but The Manifest Nest will be at the market today with hot Chakra Blend tea and many more teas to take home and warm up your day! And don’t forget elderberry syrup to support your immune system as it adapts to the ever changing weather and many germs going around! I’ve also got another new offering for today! It’s a Lavender Rose Facial Spray! 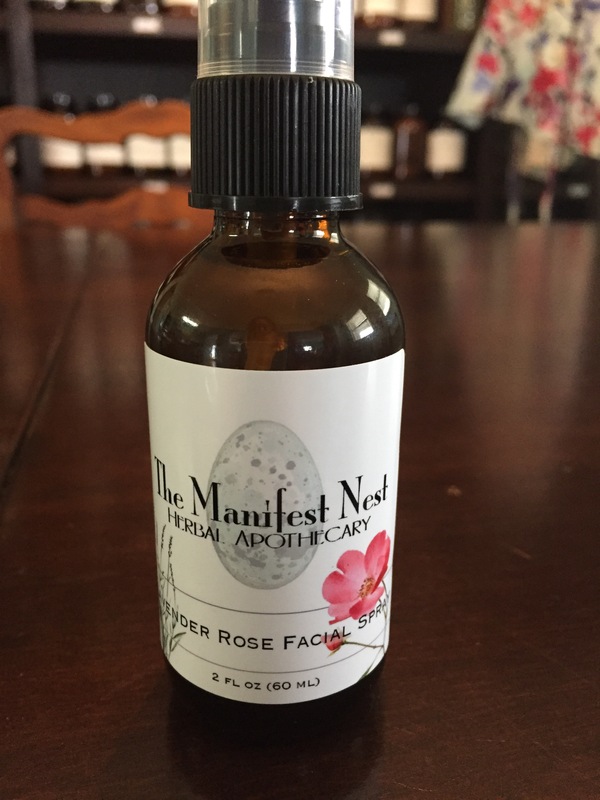 It’s perfect for balancing skin, soothing chapped, dry skin, great for healing and preventing acne and as a general toner and can be used to cool hot flashes, which we know also happen on chilly days! NEW!! Atlantic Beach City Market!